First Lighting offers a range of beautiful, practical, stylish and functional patio lights that will not only add further security to your home but enhance the external appearance of the property too. Whether you’re using them to give your home a stylish flair or want to light unseen steps and paths, choosing the right lighting can make all the difference to your home and with our wide selection we have the products you need to ensure it not only looks elegant and well-designed but it offers a practical solution too. 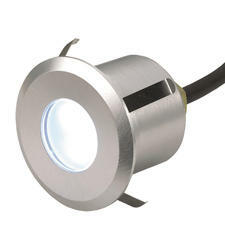 See other products in our LED outdoor lighting range. Finding the right type of lighting can easily transform your patio into an extension of your living space that can be enjoyed in the evening too when the sun goes down. With First Lightings’ range of patio and wall lights, we have everything you need to light your external area and create a cosy mood for each of the different things you want to do there. During the summer months your patio can feel like an extra room in your home, and finding the right patio lights can transform it for perfect evening entertainment. 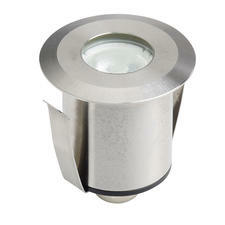 Illuminate the terrace from above with general lighting whether its ceiling or wall mounted. You could also provide instant light with motion sensors, but you could also use softer and smaller designs to create a more intimate atmosphere on your terrace area. It’s, of course, important to ensure that your light choices are suitable for installation outdoors, but if you wanted to take away some of the difficulty of installation solar patio lights could be a more suitable option. Basically, choose where you’d like them to go and let the sun charge them up for use in the evening. They’re long-lasting and durable too, so you won’t have to replace them for a good while to come. Another option could be LED lights are safe to touch and very low energy consumption which make them eco-friendly too. Whichever you choose First Lighting has the patio lights solution for you to choose from with our wide range that you can shop now.